I'd like for the sidebar to have the option of collapsing and expanding. 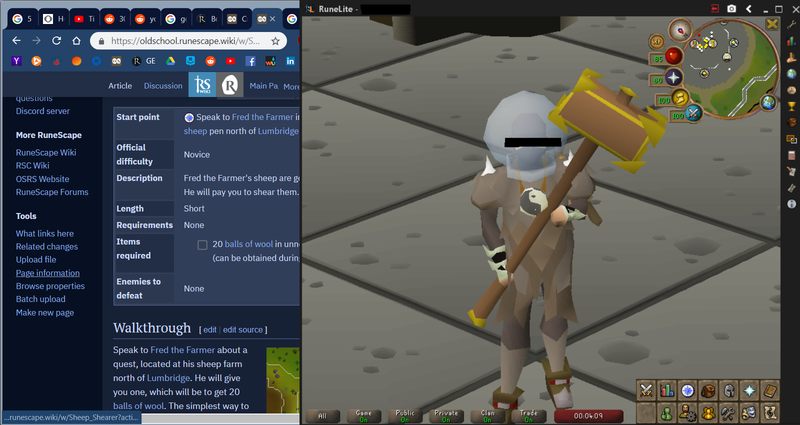 Typically when I am referencing a quest guide while completing the actual quest, I anchor my runescape client on the right side of the screen and my internet browser on the left. Since I only have one screen, the client and the browser overlap one another. On the old wiki, I was able to display all of the text of the quest guide on the anchored internet browser without having to click off of the runescape client. However, on this wiki the sidebar with all of the pertinent links takes up a significant longitudinal portion of the screen, not leaving enough space to fully display the content of the quest guides. So, it would be a good idea to introduce a collapsible functionality to the toolbar.